A loaded Flex EcoBoost Limited can feel like a full-fledged luxury model; but then again it's priced like one, too--at well over $50k. The boxy 2013 Ford Flex wagon isn't just fashionable; it's one of the better picks for a cross-country trip; and for carrying six adults out for the evening; and for busy moms; and for all of an afternoon's ill-advised IKEA purchases. Catch our drift? While the Flex looks like a vehicle that must have some sort of deal-breaking packaging flaw, there really isn't. Compared to most other crossovers on the market, the Flex not only makes more sense, it's more stylish, and at least next to the Explorer, it drives better. 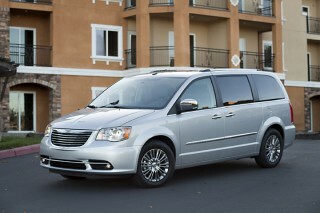 You get the interior packaging goodness of a minivan, without the mommy-wagon image. Plus, with this year's changes, a more cohesive design than ever and with the EcoBoost, a vehicle that can be hustled as quickly as some sporty sedans. 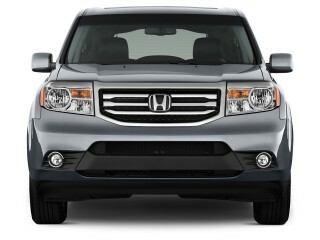 It’s a pleasant vehicle to drive, too, and we think it's a step up from the likes of the Traverse, Pilot, and Highlander. Mostly, it's because of the superior ride quality, descended way back from the Volvo XC90 that spun off the Flex' platform, the same one underpinning the Taurus, the Lincoln MKS and the MKT. 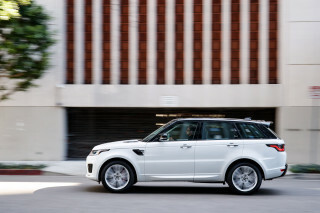 Even the base Flex carries itself like a smaller wagon, with crisp steering feel and a compliant feel that comes from its long wheelbase, but great control over its body motions even when it's hustled in a way no family vehicle will ever be used. Trust us on this one. Ford has made good by fitting variable cam timing to the base 3.5-liter V-6 this year, so it now makes 287 hp and returns 1 mpg better compared to last year. But the star of the lineup remains the turbocharged, 365-hp EcoBoost Flex, which runs off 0-60 mph times of under seven seconds and lightens up the Flex's footwork, making it faster than anything in the class. Thanks to a new electric power steering system, a quicker ratio, and a steering unit that's now locked onto the subframe, steering feel is more precise, while a host of improvements improve ride harshness and keep the cabin much quieter from road noise. As large as the 2013 Flex is (it's 202 inches long, with an also-long 118-inch wheelbase), it's surprisingly manageable to park and drive around the city. It doesn't exactly drive small, but it doesn't feel much more cumbersome than a mid-size sedan. All the seats in both the first and second rows are cozy, with limousine-like room in every direction, and a choice of buckets or a bench. The long wheelbase pays off most here, but even the third-row seat has leg room for smaller adults, though head room is scant for six-footers. The Flex is among the safest vehicles you can buy. Its comprehensive safety package includes six airbags, anti-lock brakes, and stability control with anti-rollover technology. A rearview camera and parking sensors are available, as are a blind-spot warning system and adaptive cruise control, and this year it gains inflatable second-row seat belts, and adaptive cruise control (with forward collision alert), and a blind-spot monitoring system. The 2013 Ford Flex isn't only about bold looks and three-row seating; it aims to be an excellent, full-featured family wagon, and especially in its top Limited guise feels like a full-fledged luxury model. The base Flex SE comes standard with three-row seating; a CD player; power windows, mirrors and locks; capless fuel filling; and MyKey, which lets owners set pre-programmed levels for radio volume and vehicle speed, effectively putting an electronic leash on younger drivers. Upscale Flex crossovers can be fitted with the EcoBoost turbo engine; all-wheel drive; a leather interior; and a glass panoramic sunroof. All 2013 models except the base SE include the new, upgraded version of MyFord Touch, which includes improved responsiveness, a less cluttered look, improved fonts, and a better design for on-screen buttons. The main instrument panel has been redesigned to go along with MyFord Touch, and a left panel can be reconfigured to show a number of different functions, including a graphic tachometer. Also new, just below MyFord Touch, is a capacitive panel that houses supplemental audio and climate-control buttons. There's a physical button for the hazard lamps, but all else (even climate controls) relies on touch. It's classy, bold, and a little weird, all at the same time, and it stands out from the rest of the Ford lineup. Is boxy beautiful? If your answer is no, you might liken the Flex to a refrigerator and move on to another vehicle. But if you think so--and possibly worship the likes of old Volvo 245 wagons--the 2013 Ford Flex is a good one to put on the list. No matter what, if your next crossover can't be bland or anonymous, the Flex's silhouette is the recipe for a little more excitement. With a mash-up of styling cues that you could argue are influenced by everything from that old boxy wagon or Country Squire, to Range Rovers or Mini Coopers, the Flex boldly forges its own look--a look that hasn't been imitated in the seven years since the Fairlane Concept's debut at Detroit or the Flex's introduction in 2009. With slab-sided sheetmetal stretching out into something that's almost a caricature of SUVs and wagons--but at the same time, stamped with details that make it unique--the Flex is essentially the anti-minivan. There are influences aplenty from the MINI playbook, in outfitting some Flex crossovers with white-capped mirrors and two-toning the body with a white roof, while the upscale Titanium version mutes all that down for a nearly monochromatic look. And with some slight changes to the front and rear for 2013, those differences are even more exaggerated. 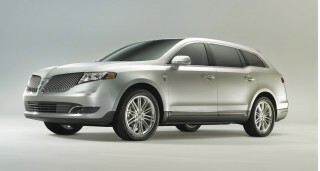 Now Ford has removed any brand badging or even the blue oval from the front, instead adding broadly lettered 'FLEX' label at the leading edge of the hood, a laRange Rover, above an all-new grille—a thick chrome bar running all the way across, working crisp futuristic ways with running lamps and a boxy headlight design, plus unified, straight-across lower air-dam bars. The only Ford mark on the vehicle is a blue-oval badge, on the lower right corner of the hatch. Inside, the Flex's design essentially carries over, although there have been some subtle changes to the materials--with soft-touch materials now used in the upper door trims as well. The instrument panel sits low, while a round analog clock on the dash of the navigation-equipped Flex clearly pays homage to the MINI--down to the stamped-in ribs that flank it. Also new for 2012 is a redesigned center stack that makes room for the large MyFord screen interface, along with all-new capacitative touch controls for climate control and audio beneath it. The Flex lives up to its name in performance, with light, composed handling and plenty of muscle in EcoBoost versions. The Flex was surprisingly able on a curvy road before, but with some improvements for 2013 it's now almost in the fun-to-drive category. Ford's electric power steering system, which was previously only fitted to EcoBoost versions, is now included in all Flex models; it's also hard-mounted to the front subframe and has a quicker steering ratio this year. Brakes are also upgraded with more friction area and a larger master cylinder (plus different booster tuning) for improved pedal feel. Altogether, turn-in is now crisp, the steering loads up predictably, and there's even a little feel of the road coming through; the brakes have a noticeably stronger bite as well. Base 2013 Flex models aren't blisteringly quick, but Ford has added a bit more muscle to the base Flex this year—with a new version of the 3.5-liter V-6, incorporating Ti-VCT (variable camshaft timing) and making 287 hp and 254 lb-ft of torque. EPA fuel economy ratings improve by 1 mpg all around as well. With this engine pickup is only adequate off the line, yet passing power is pretty strong, even with a few passengers on board. 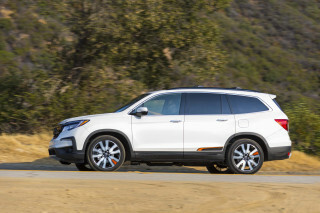 The six-speed automatic shifts smoothly, noticeably better than the similar transmission found in GM's big crossovers (Acadia, Enclave, Traverse). We'd advise you check out all-wheel drive if you live in the northern tier, but otherwise give it a pass, since it adds more lead to the Flex's feet, since it already weighs about 4,600 pounds. EcoBoost models make 365 hp and churn out the torque, with a seamless wave as the six-speed automatic upshifts. Steering-wheel paddle shifters are included with this model. You can now give the paddle-shifters a yank in drive, and it'll deliver a quick downshift. The system is smart and considers yaw and steering-angle sensors, as well as throttle, so if you're in the middle of a corner or still climbing a hill, it will stay in the lower gear; but if you ease off the throttle it will go back to the upper gear in as little as ten seconds. Ride and handling are very well-tuned in the Flex, and with a quicker steering ratio this year plus a new electric power steering system (only EcoBoost models got it before) that's fixed to the subframe, there's more precision and quickness built in. The Flex comports itself like a smaller station wagon, with fairly crisp steering feel and a compliant ride that only gets boundy if you hustle the Flex into deep, tight corners, despite its size. The 2013 Ford Flex is big and boxy, and that brings three rows of comfortable seating, with excellent ride comfort and an even quieter cabin this year. The Flex ranks as one of our top picks for a long-distance road trip for four adults (and even more kids or cargo), and it takes just a quick look inside to see why. Nothing carries seven passengers quite like it--except for maybe the (now discontinued) Mercedes-Benz R-Class, and the its own sibling, the Lincoln MKT. Otherwise it's hard to find six seats for adults this accommodating. You can thank the Flex's Volvo roots and its emphasis on second-row comfort. While other SUVs like the Traverse and Pilot have better third-row accommodations or overall interior space, the Flex is organized to make the front and middle seats as spacious as possible for everyone, not just the under-13 set. At 5 inches shorter overall than the 205-inch-long Chevy Traverse with a wheelbase just as long, the Flex is conversely 10 inches longer than the Honda Pilot. Both in front and in the second row, the Flex includes wide, well-cushioned seats that cosset for long distances yet provide enough support for a mountain road. And for 2013 one of our previous complaints--oddly positioned headrests--has been completely remedied with a new four-position design. In the seoncd row; you'll feel regal, there's so much head and leg room. The third-row seats are thinly padded, but it's impressive that even this 6'-6” editor could fit acceptably in the third row, with a slight hunch and knees slightly elevated; it would be fine for a jaunt across town, and it's relatively easy to get back there thanks to the roofline. 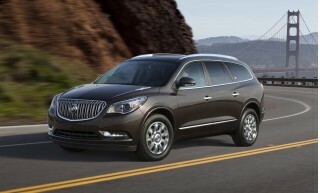 Fit and finish look better than ever in the 2013 model, based on an early drive. Ford has done a good job in placing soft-touch materials up where the driver and front passenger most often put their hands, while upholsteries and materials feel luxury-grade. On coarse surfaces and over choppy sections of road, it's readily apparent that the Flex is much quieter inside for 2013; Ford has added a host of improvements to lower noise and harshness in the vehicle—like wrapping shock towers with sound absorbers, adding insulation behind the dash and under pass-throughs, and adding wheel liners. 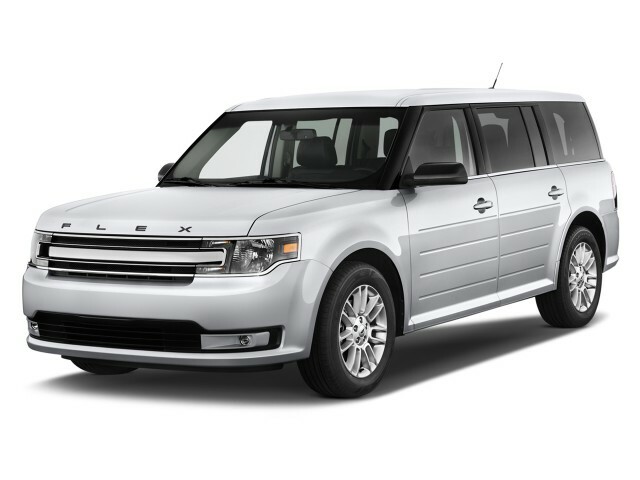 With the 2013 Ford Flex, you're likely choosing one of the safest vehicles on the market. 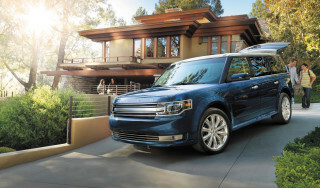 Based on its reputation for top-notch crash-test ratings, as well as its excellent roster of safety features--plus some new additions for 2013--the Ford Flex is one of the safest vehicles you can buy. Last year the Ford Flex was an IIHS Top Safety Pick, although neither the agency nor the federal government have renewed their ratings for the 2013 model. The 2013 Flex hasn't however changed structurally (or significantly otherwise), and the past ratings have been extended to include the current model. Dual front, side and curtain airbags; anti-lock brakes; and traction and stability control with anti-roll control all remain standard. Parking sensors and a rearview camera are on the options list, and so are a blind-spot alert system and adaptive cruise control. Inflatable seat belts are new to the Flex this year, and adaptive cruise control (with forward collision alert) and a blind-spot monitoring system are now available. All Flexes also include Curve Control and torque vectoring—both fancy terms to note improvements to the stability control system. Also Ford has also found a way to replace the old headrests, that pitched your head uncomfortably forward, with a new four-position design that still protects well against whiplash. Ford's MyKey system remains available in the Flex; it lets parents or other owners set limits on the Flex’s stereo volume, vehicle speed, and other entertainment features, effectively keeping secondary drivers within the owner's comfort limits. With the advanced MyFord Touch interface and a lavish equipment set, the Flex can feel like a luxury vehicle. The 2013 Ford Flex isn't only about bold looks and three-row seating; it aims to be an excellent, full-featured family wagon, and especially in its top Limited guise feels like a full-fledged luxury model. Whether you go for a base SE model, or a better-equipped SEL or Limited model you'll get a comprehensive set of features. The base Flex SE comes standard with three-row seating; a CD player; power windows, mirrors and locks; capless fuel filling; and MyKey, which lets owners set pre-programmed levels for radio volume and vehicle speed, effectively putting an electronic leash on younger drivers. Upscale Flex crossovers can be fitted with the EcoBoost turbo engine; all-wheel drive; a leather interior; and a glass panoramic sunroof. All 2013 models except the base SE include the new, upgraded version of MyFord Touch, which includes improved responsiveness, a less cluttered look, improved fonts, and a better design for on-screen buttons. This screen- and voice-based interface combines climate, infotainment, and navigation features, as well as other functions. We came away mostly with a positive impression from the system, but noticed that there were still some delays or a dulled response for some menu selections. The main instrument panel has been redesigned to go along with MyFord Touch, and a left panel can be reconfigured to show a number of different functions, including a graphic tachometer. Also new, just below MyFord Touch, is a capacitative panel that houses supplemental audio and climate-control buttons. There's a physical button for the hazard lamps, but all else relies on touch. A second-row refrigerated console is a feature that's not available in any other vehicle in this class. Other new features include rain-sensing wipers, passive entry and start, and a new feature that lets you go up or down a gear at a time on all models, not just those with paddle-shifters. New for the first time this year is an Appearance Package that brings a black (as opposed to white or silver) roof—plus black mirrors, unique door-trim panels, and 20-inch machined aluminum wheels with painted pockets. In all, Ford says that there are six new wheel styles, with three of them 20-inch. 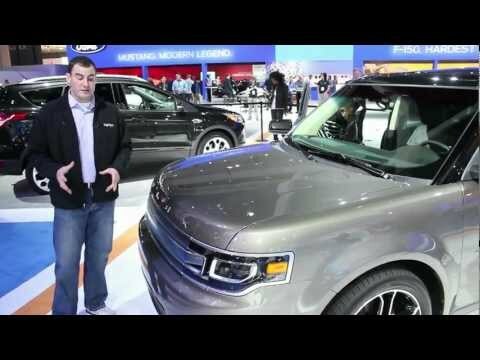 The 2013 Ford Flex isn't all that fuel-efficient, but it's about par next to other three-row crossovers. 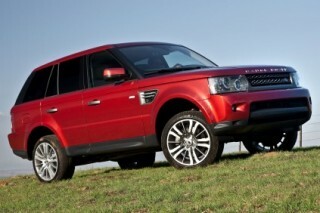 For 2013, the Flex has become a bit more fuel-efficient, though it still isn't among the most frugal in its class. With the base 3.5-liter V-6 incorporating Ti-VCT (variable camshaft timing), EPA fuel economy ratings improve by 1 mpg all around, without any change in gear ratios, to 18 mpg city, 25 highway. Adding all-wheel drive cuts into the numbers significantly: the AWD Flex earns an EPA rating of just 17/23 mpg. From there, it's another step down with the turbocharged Flex EcoBoost to 16/23 mpg. I have to admit the only reason I initially bought the flex was because it was easy to transfer my husband from his wheelchair to the vehicle. After driving it a while I love this vehicle. It is very... I have to admit the only reason I initially bought the flex was because it was easy to transfer my husband from his wheelchair to the vehicle. After driving it a while I love this vehicle. It gets good fuel mileage for a car of its size. It has a quite ride. I don't think it is the prettiest ride I have ever seen. However the comfort, drive, room, everything can not be beat. Great for traveling. Great for around town. You feel like you are high enough to be in a truck but have the comfort of easy in and out.